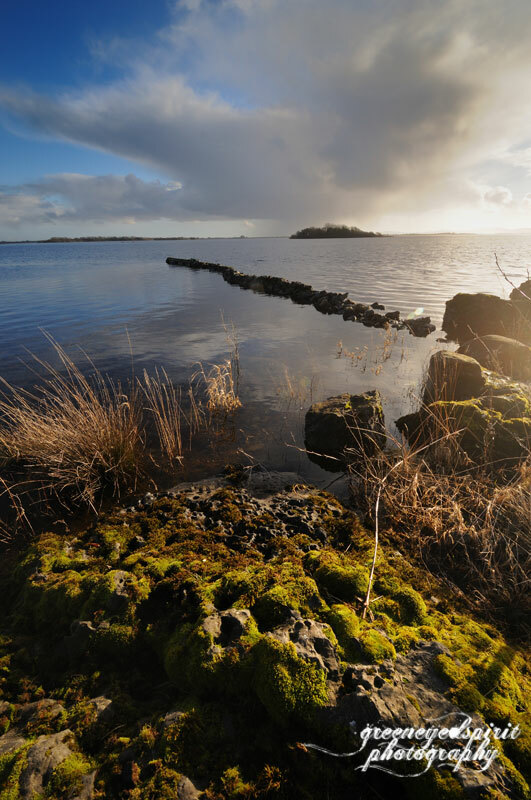 I took a drive out to Inishmicatreer the other day, a little beauty of an island in Lough Corrib, accessible via a bridge from the mainland. Inishmicatreer is part of County Galway, but unless you’re coming by boat, only accessible through County Mayo! Peculiar, but beautiful. I took a little walk along the shore, scouting for good photo opportunities, enjoying the late evening light. I had my eye set on that row of rocks jotting out into the lake, but couldn’t get to it with dry feet – until I remembered that I had my wellies in my car! ~ by Simone on February 4, 2011. Like the compositions of both photos especially putting the horizon way up in the second. 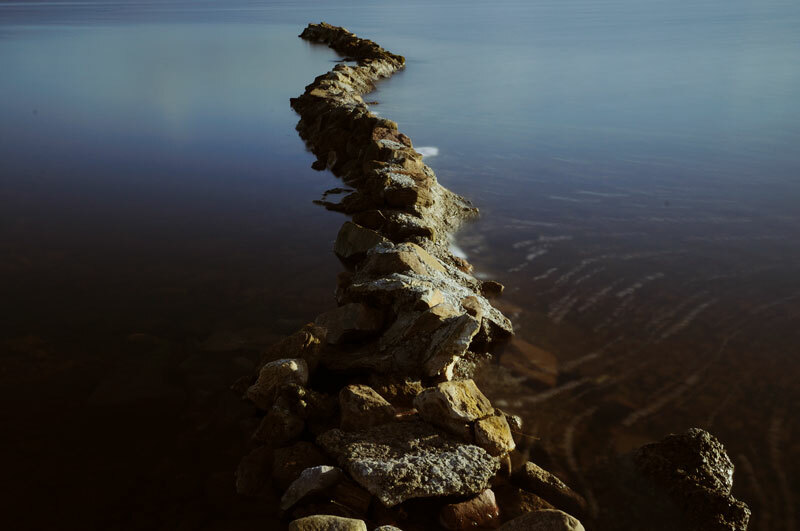 The stones lead one right to it. Thanks, glad you like this one – it’s the only one that worked from that day with the 10 stop ND filter, I had a big fat light leak in the rest! Oh well, you live and you learn! WOw!!! I am so in love with Inish Mic A Treer!!!! Always have been! And I think you did the same row of stones that I did! haha, yeah, I think that IS the same row of stones! ‘Tis a lovely place indeed, thanks for showing it to me! !